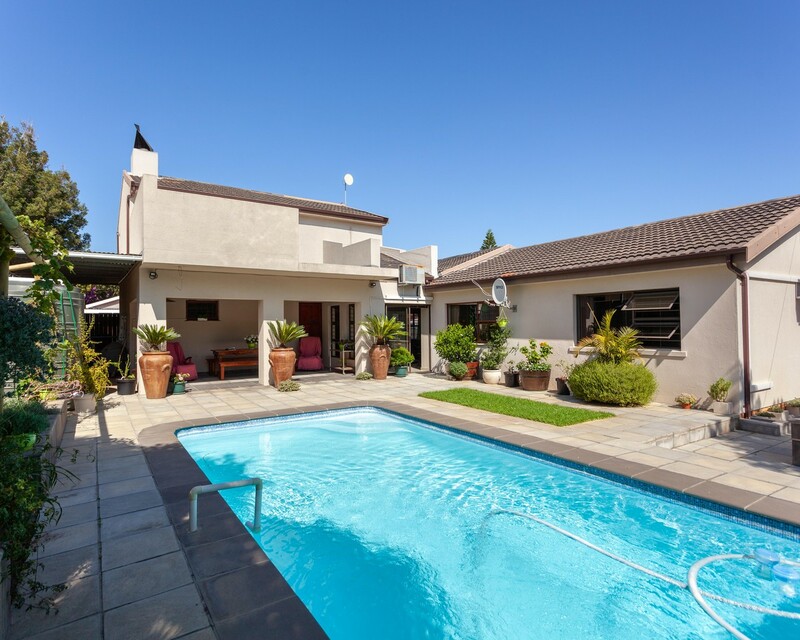 This large family home is situated in the heart of Protea Heights in a quiet close. With ample space for entertainment this home features a well-maintained established garden big enough for the whole family. Large tree and green grass with an outside braai pit and swimming pool leaves one imagining quality time spent with family and friends. Spacious open plan living inside, nice sized kitchen and TV room with stairs leading up to the entertainment room. The entertainment room includes a built-in braai and has a balcony with the most beautiful views. Borehole water, two big JoJo tanks and an extra storage room. This house also offers extra undercover parking for a big caravan or 4x4 trailer.